Walk down almost any street and you will pass buildings of varying ages, stemming from differing architectural eras, all of which come together to tell a unique story of local history. When it comes to large, busy cities such as London, it isn’t uncommon to find historical building restoration works taking place on various buildings. That is because, inside the capital’s famous concrete jungles, there are structures that have stood for centuries sandwiched between newer, modern buildings. In Central London alone, historical structures such as Tower Bridge and the Houses of Parliament have been joined by modern constructions such as Millennium Bridge and the Gherkin in the last couple of decades, writing their own chapter in London’s storied history. As much as modern concepts do help to bring cities such as London into the modern age, it is without a doubt the historical sites that capture and retain the romance of the city. The Amazon Rainforest is awash with trees and wildlife that have been in residence for hundreds and thousands of years, making for a true natural spectacle. In many ways, London is much the same with structures dating as far back as 7,000 years, following the discovery of the Thames Timbers underneath Mi6 headquarters. In the capital, there are many obvious signs of the Roman, medieval, Tudor, Georgian and Victorian periods still present today. One of the oldest structures still standing is the London Wall, constructed between 190 and 225AD, although most of the wall was destroyed in the Great Fire of London in 1666. One of the more popular landmarks that has undergone several rounds of historical building restoration is the famous White Tower, the oldest part of the Tower of London (built in 1078), proudly standing tall next to the River Thames. Large skyscrapers, such as those in Canary Wharf, have been erected over the course of the last few decades. Up until the 1980s, Canary Wharf was one of the busiest docks in the world. Now, the estate is best-known for One Canada Square (commonly referred to as Canary Wharf Tower) which has taken its place in London’s skyline. No matter how far architecture advances, there will always be room for historical building restoration, which preserves notable and historical structures for future generations. 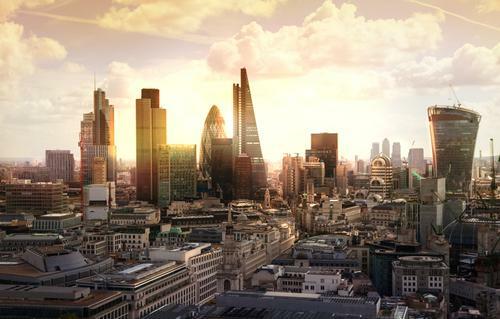 Could you imagine London without such buildings as Westminster Abbey, Buckingham Palace and Tower Bridge complementing more modern structures like The Shard? The concrete jungle recognises both the old and the new and, in our humble opinion, is all the better for it. For more information on historical building restoration, please do not hesitate to get in touch with our team by sending us a message via the contact form today.